Student wins appeal of school's marijuana accusation. GARNER (WTVD) -- A four-hour-long appeal hearing inside Wake County Public School Headquarters resolved what's been an agonizing few weeks for one Garner high-schooler. Jakayla Johnson, 15, was accused of drug possession on campus at Garner Magnet High School in April, and she was kicked out of school. Johnson's ordeal began April 21 with an encounter with the school resource officer at Garner Magnet. The officer stopped Johnson's Chinese class to announce he smelled marijuana. "They came, they walked around the class; tried to sniff where the scent was at," Johnson said. Soon after, Johnson was hauled to the assistant principal's office -- there were more sniff tests. "(The assistant principal) says he smells marijuana. ... He said 'why do your hands smell like marijuana?' I said I don't know," Johnson recalled. Then Johnson said she was patted down, her shoes checked for contraband. Nothing was found. Later, Johnson's mom, Tameka got a phone call: The school suspended Jakayla for five days. The offense: drug possession. "I just wanted to prove to the school they had the wrong kid," Tameka said. "She doesn't do drugs." A student is found not guilty of the drug possession. Tameka is a nurse, so she took her daughter for a drug test the next day. Johnson tested drug- and alcohol-free. But, it wasn't enough to change the school's decision. Until Wednesday. Two community activists, Diana Powell and Geraldine Alshamy, represented the teen at her appeal hearing inside district headquarters. The pair was concerned Johnson's case was another example of an issue both are fighting to correct: the so-called "school-to-prison pipeline." "Innocent kids are being accused of something they did not do," Alshamy said. "But they don't know how to defend that." "(The school system) charged this girl with possession. When they openly admit they didn't find anything." The argument worked. The district overturned Johnson's suspension -- wiping it off her record. "I was happy because it's about time they know they're wrong," Johnson said. "And they should've just owned up to their actions when they had the point." Johnson's mom says she was told the drug possession allegation will also be cleared from her daughter's record. And she'll no longer be penalized for the missing school days. Johnson was concerned about the impact with potential colleges where she may apply. 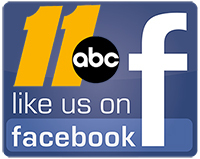 Wake County Public Schools tells ABC11, that because of student privacy laws, it's unable to discuss the case.